Watch your guests faces light up when they see our 'Donut Wall'. A super cute idea for your perfect day. Make your very own unique treat corner that will be adored by your family, friends and little ones. A finishing touch to an unforgettable day. Place our donut wall on a table surrounded by our white floral garland for a display your guest will always never forget. 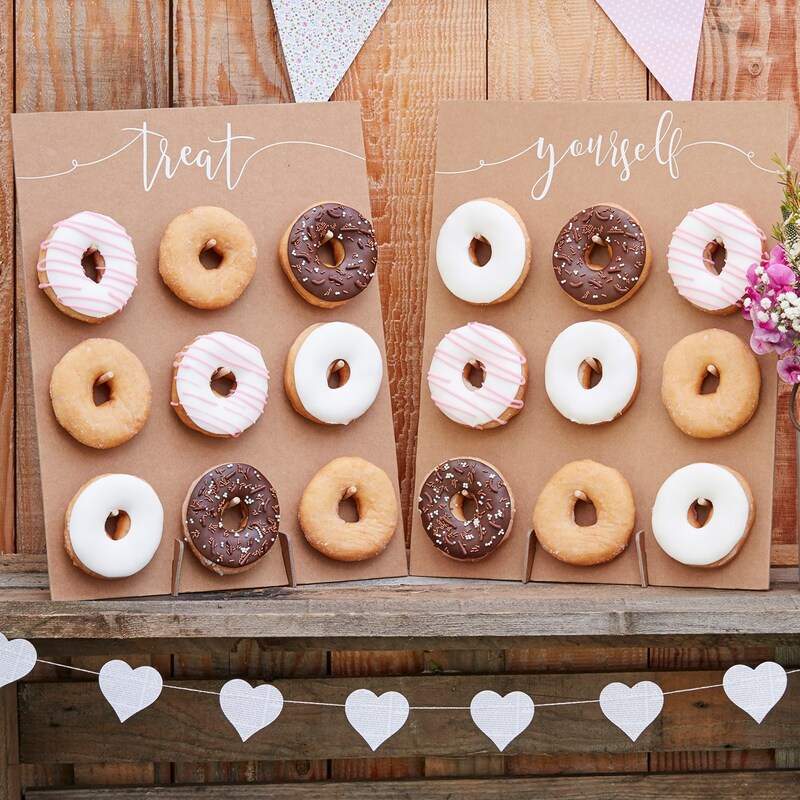 The donut wall has a rustic chic finish with crisp white scripted spelling ' Treat' and 'Yourself' the perfect finish to a dreamy country wedding. Each pack contains 2 walls with 2 feet each. Each wall measures 42cm (H), 32cm (W). The pack contains 18 pegs to hang 18 donuts .The pegs measure 5cm (H).